I thought I could do more with the envelope. Recently, I made a couple of new versions. You can download this as a Publisher document or as a PDF file. If using the PDF version remember to set your printer settings so as not to shrink the pages. 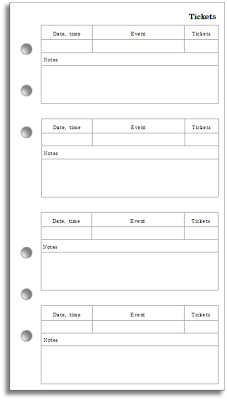 You can log the date and time, event name and the number of tickets, along with notes (where will you park, for instance, or who are you going with?). This is also available as a Publisher document or as a PDF file. Either way, print, cut and fold as explained in the video above. Would this work if I printed on Letter sized paper? It seems like a great idea. PS: The word document link for the first envelope wont open on word for mac since it is a .pub document. Good point. I'll update the post. Should be fine printing the PDF on letter paper so long as you don't let it scale to fit. I just tried it out on letter paper and it does work. Ray I am using a mac but have Pages and Numbers not Word and Excel. I can only make the A5 files (the ones which are supposed to print as A5 diaries with 2 diary pages per sheet of A4) print as A4 full pages, I can't make the "booklet" printing you mention work at all. Is this all really just PC friendly and not mac compatible? Booklet mode is usually supported by your printer, so check your printer options and see if you can find it there. I recently bought my first Filofax Personal (with no other reason than "it is pretty!") and only then started looking for ways to use it to the fullest. 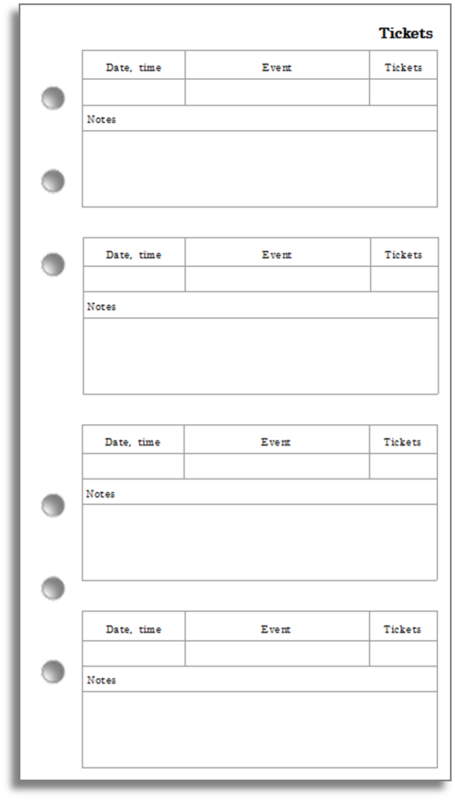 Via Philofaxy I found your blog and I LOVE the templates you've created and so generously offer for free downloading. Thank you for all the effort you put into these! You're welcome, Karen. Keep reading and I'll try to keep them coming. 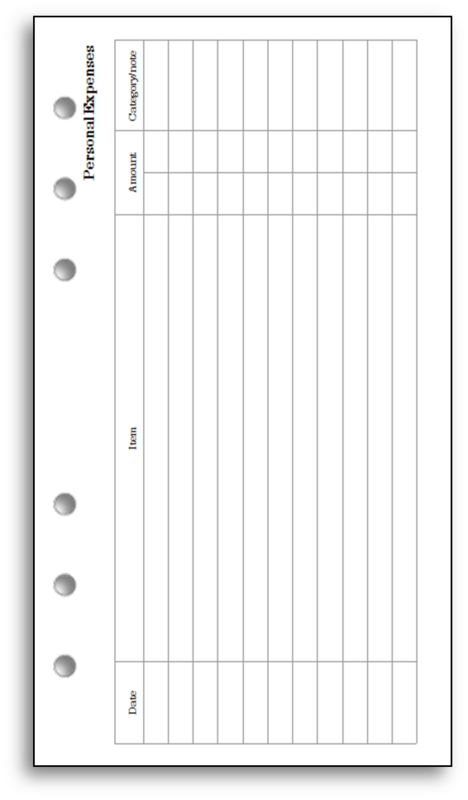 Is there any chance of a pocket sized finance sheet to print, similar to filofaxes own? Any chance this could come up in the future? Yes, why not? Leave it with me. ohhhh thank you :) I shall cross them off from my shopping list for the time being! I do love the pocket refills you come up with, so many people ignore the poor small pocket! Love the landscape version of this - I found the portrait one got too 'fat' in my Filofax after a while.